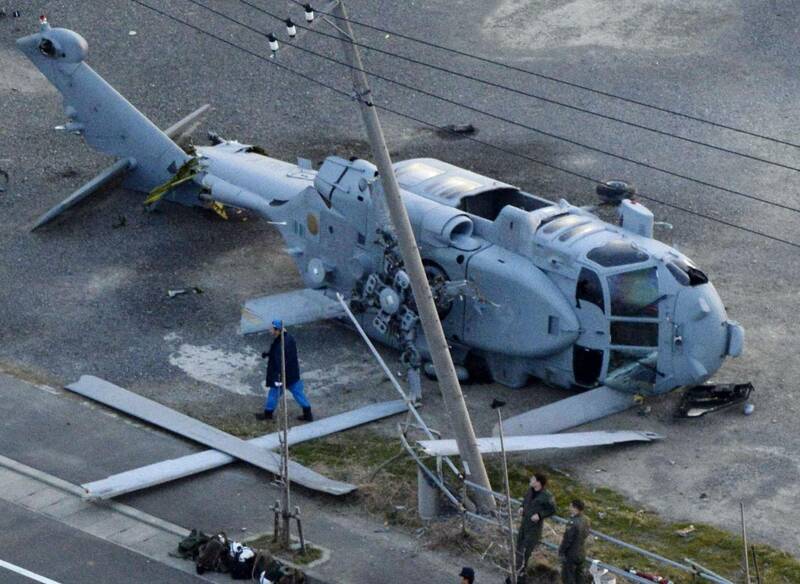 YOKOHAMA - A U.S. Navy helicopter crash-landed Monday afternoon apparently in a landfill near the port of Misaki, Kanagawa Prefecture, and two of its four-member crew were hurt, police said. 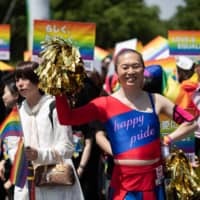 Kanagawa Prefectural Police said the two men sustained broken bones but no one else was hurt when the chopper made the emergency landing. The MH-60 helicopter landed just after 3:30 p.m., the police said. No fire was reported. According to the fire department, the co-pilot said the crew attempted an emergency landing after losing control of the chopper. It landed on its side, tearing off the main rotor blades and damaging the tail. Koji Tomita, head of the Foreign Ministry’s North American Affairs Bureau, called on Kurt Tong, deputy chief of mission at the U.S. Embassy in Japan, to look into the cause of the crash and prevent a recurrence. The police have restricted access to the crash site in accordance with a bilateral agreement on off-base accidents involving the U.S. military. 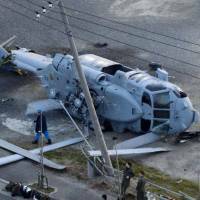 The agreement was made following the 2004 crash of a U.S. military helicopter at a university in Okinawa Prefecture. 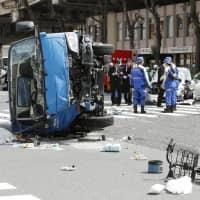 The Japanese government has set up a task force at the prime minister’s office to gather information on the accident.